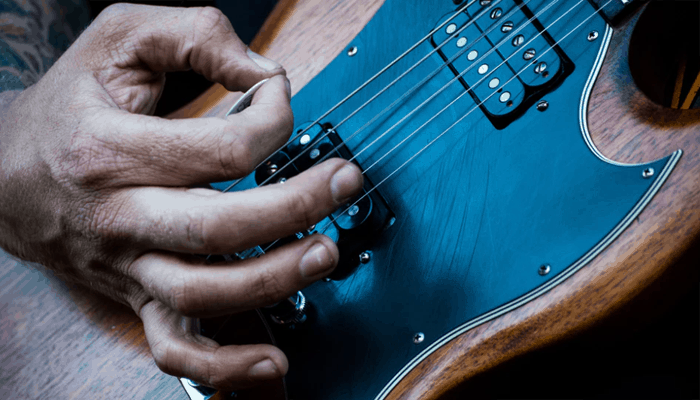 Choosing your first guitar can be difficult, on one hand, you want a guitar that is not too expensive, and on the other, you want one with quality that will make you fall in love during the learning experience. As this process can be overwhelming, we have put together a helpful guide on some of the best acoustic guitar brands of 2019. What to look for in Acoustic Guitar brands? 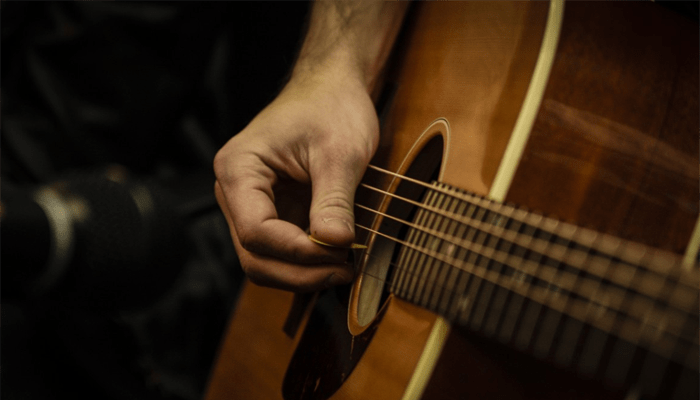 What makes a good Acoustic Guitar brand? 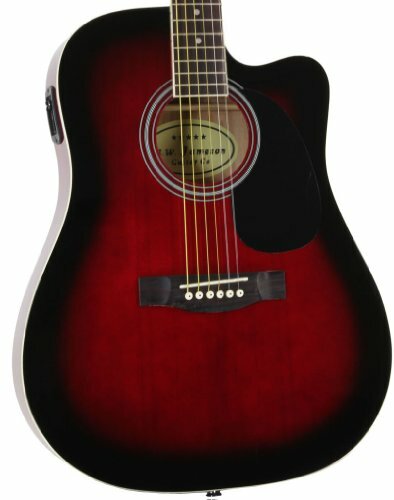 What Acoustic Guitar brand is best for a beginner? 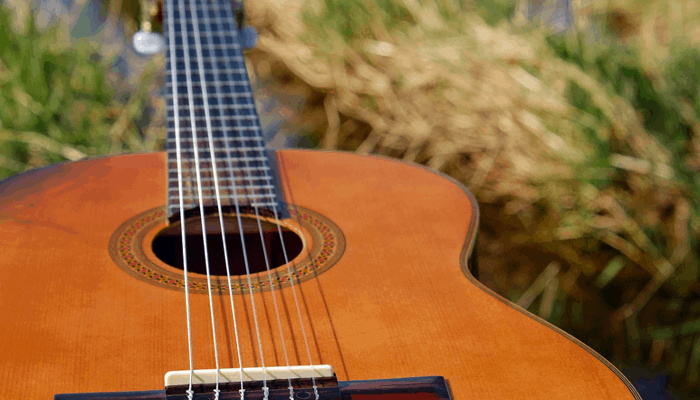 What acoustic guitar brands should be avoided? 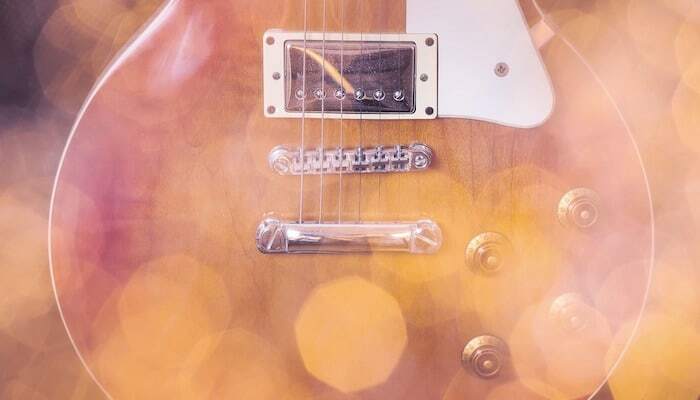 Most entry-level guitars tend to disappoint when it comes to affordability and sound quality, so we have carefully selected what we find are the best choices for beginners and experienced players alike. Good quality while remaining affordable. Durable for gigging and teaching purposes. The LXK2 is built symmetrically, so is suitable for both left and right-handed players. Small body without sacrificing a full sound. Light and portable making it suitable for travel. Very low price, yet competes with similar, pricier brands. Easily available for left-handed players. Can be plugged in to boost volume. The Yamaha F325D boasts a classic dreadnought shape with a warm, quality sound and smooth playability without breaking the bank, this model is ideal for students with a limited budget and perfect for beginners. The guitar has die-cast chrome tuning pegs provide ease with tuning and restringing the guitar, helping it stay in tune for a long time, the natural gloss body finish and tortoise-shell pick-guard help ensure that the guitar is resistant to minor scratches and bumps. • A gig bag is included so you can keep your instrument safely packed away when you're on the go. • An easy-to-use clip-on tuner is included so you can keep your instrument in tune. • A strap is included so you can practice or better yet perform while standing up. • Strings are included so you have extra for later. Picks are included so you can start playing right out of the box. • An Austin Bazaar instructional DVD is included so you can pick up some tips while learning your new instrument. • An Austin Bazaar polishing cloth is included so you can keep your new instrument in mint condition. + Good quality while remaining affordable. + Durable for gigging and teaching purposes. Why We Liked It - The guitar is solid and durable which makes it suitable for travelling, great for beginners, students and experts alike. This petite, portable ¾ length guitar is ideal for travelling, singing around a campfire and pretty much any occasion you can think of. Despite its small exterior, the LXK2 can produce a level of volume that competes with its larger siblings, Martin has upheld their reputation for producing high-quality instruments with rich sounds. 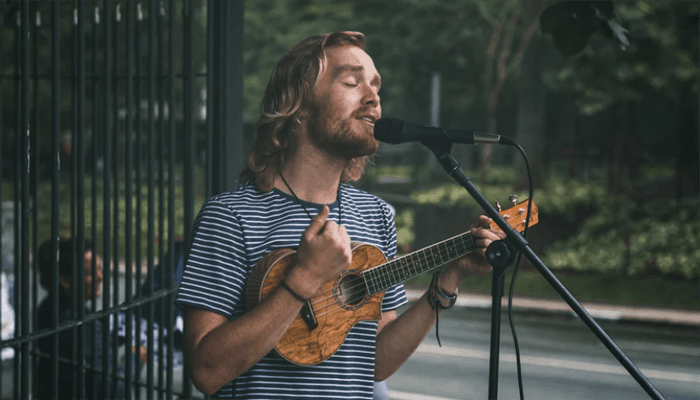 Smaller guitars are often marketed to beginners, as they often don’t want to invest in something expensive out of uncertainty behind whether they will be continuing with the instrument long-term. This poses a problem with quality, as they tend to be made with cheap materials. The great thing about this particular guitar is that Martin has strayed from this path and made the instrument with the same quality as their higher end products. This guitar has become increasingly popular since Ed Sheeran was first rising to fame, as he has the same guitar which he still uses today. The LXK2 is sold with a heavily padded gig bag, however, if you plan to travel internationally with this guitar, it would be wise to upgrade to a hard case to protect the guitar in air transit. + The LXK2 is built symmetrically, so is suitable for both left and right-handed players. + Small body without sacrificing a full sound. + Light and portable making it suitable for travel. Why We Liked It - Martin is renowned for producing high quality guitars, and this model is no exception, its smaller frame using less material allows the instrument to be affordable. 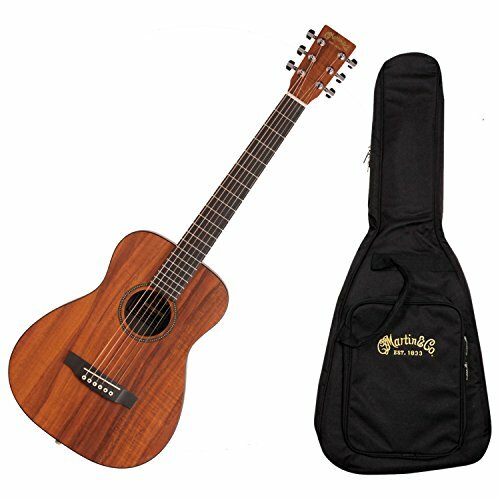 This full sized electro-acoustic guitar is streamlined for optimum comfort and playability. With the built-in preamp, you can plug the instrument into an amplifier or mixing desk for more volume if performing in a larger venue or with a band. 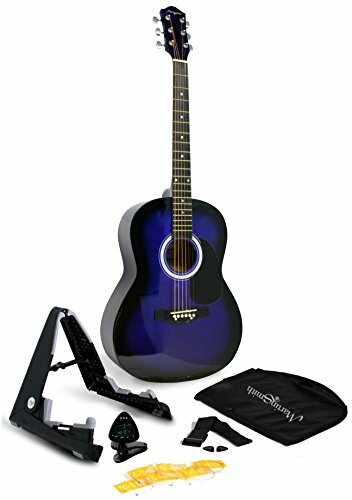 This guitar is available to purchase as a package, complete with a gig bag and plectrums and you can choose left or right handed, as well as a variety of color finishes. The guitar features die-cast tuners for unwavering pitch, volume & tone controls, and steel strings, the maple neck, and gloss finish body confirm its durability, making it suitable to take on the road. + Very low price, yet competes with similar, pricier brands. + Easily available for left-handed players. + Can be plugged in to boost volume. Why We Liked It - Rocksmith players have reportedly been using this guitar for the game, and have praised the instrument for its compatibility. 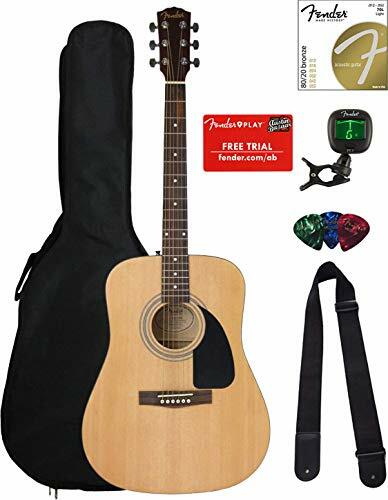 Fender is a highly renowned guitar brand particularly when it comes to electric guitars, Fender offer an affordable sister-brand range under the name of ‘Squier’ and this full-bodied acoustic dreadnought guitar lives up to the Fender name, boasting a big sound and maximum affordability. This model strong enough to stand up to anything that beginner and expert players alike might throw its way, thanks to its laminate construction with Lindenwood top and mahogany back and sides, mahogany neck, and a dark-stained maple fingerboard to give you an instrument that looks and feels as good as it sounds. With its slim neck making it easy to play and full-bodied dreadnought tone to support lead and rhythm roles alike, this guitar is an ideal choice for rookies and would make a great addition to an experienced players’ collection for the road. This bundle also includes a free trial for Fender Play. Fender Play is the complete learning app for guitar, bass, and ukulele and features many popular songs to choose from. Why We Liked It - The value for money is incredible, and the extras you receive as part of the bundle are of a genuine quality. 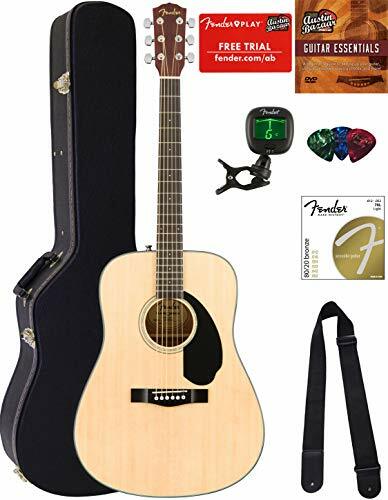 The Fender FA-100 acoustic guitar boasts a classic dreadnought shape with a spruce top and X bracing for full and resonant sound, classic Fender headstock and pickguard, smooth-playing 20-fret hardwood fingerboard and rosewood bridge. Spruce tonewood is known for its strength, brightness, and dynamic range, and it responds well to any acoustic playing style, from hard strumming to fast fret picking to delicate fingerpicking. While competing for guitar brands tend to transform their guitar design to attract more clients, Fender maintains a traditional look reminiscent of the first guitars. However, its exterior is finished in high gloss to offer a noteworthy upgrade in order to remain modern. Most dreadnought guitars resemble one another, what matters is the sound quality and sometimes the manufacturer. Regarding size, the Fender FA-100 has a full-body size that those with a larger build would appreciate and feel comfortable holding. The string and Fretboard on the Fender FA-100 are very close to each other. the low action increases playability, which will help with more difficult hand positions that come with barre chords and blues-style inversions and eases the process of pressing down the strings for a better sound and fewer buzz notes. The action can always be altered by adjusting the Fender FA-100’s saddle, if you do not know how to do this, you can ask your teacher or find a useful how-to on YouTube. Why We Liked It - It is rare to find a beginner guitar with a solid spruce top and X-bracing at such a low price. Yamaha is a brand known for quality, solid instruments that have been able to cater to novice players, as well as professionals. It’s typical to go to any guitar store and bump into their electric or acoustic guitars. When the Yamaha FS series of guitars was debuted more than 50 years ago, the company set out to prove that quality, acoustic guitars do not need to be expensive. The FS series focuses on playability and durability in a small and compact design. Every aspect of the FS line is crafted to design a better guitar. Because of its small form factor, the Yamaha FS800 guitar is ideal for younger, or more petite-framed individuals. Those with smaller hands and arms will appreciate the size and find it comfortable to play. The Yamaha FS800 is a dreadnought guitar, and it has become the most common design for acoustic guitars, its aesthetic is familiar, even to those who have never picked up a guitar but will have seen it represented in different media sources over the years. This robust guitar frame is designed to create a bolder and richer tone. 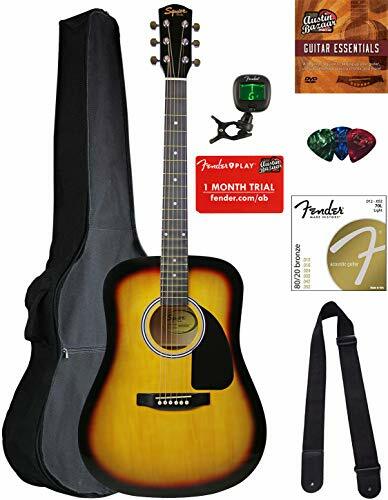 It also comes with a hard shell Acoustic Guitar case with plush inner lining, gold latches and hinges that fit a range of Yamaha guitar models, and any standard dreadnought sized acoustic guitar for that matter, should you wish to upgrade in the future. + Suitable for people with a smaller frame, who may find it difficult to play a full-sized dreadnought guitar. + Can be purchased with a bundle including a hard case, which can protect the instrument while travelling internationally. Why We Liked It - Yamaha is renowned for producing a range of quality instruments and introduced the FA series over 50 years ago, this means that a lot of time and experience has gone into developing the instrument. The first thing many guitarists notice about the Fender CD-60S is its compelling and sleek design. The instrument has a laminated spruce top, as well as mahogany back and sides, a rosewood fingerboard, sealed die-cast tuners to keep the instrument in tune and a scalloped X bracing, making it well-equipped with features that are seldom included with other guitars in its price range. This is heavily marketed as a beginner guitar but can be a useful asset to advanced guitarists used as a backup. With that being said, you get more from this instrument in terms of tone quality than what you would expect from a guitar aimed at first-timers. Its traditional dreadnought body comes with impressive projection, which makes it an ideal choice for flat pickers. As well as flat picking, the guitar will be able to handle aggressive rhythms and picking, thanks to its smooth rosewood fingerboard. With its smooth playability and strong, deep tone and projection it’s an excellent guitar for small concerts or jamming around the campfire without the use of a huge microphone setup. Why We Liked It - Fender have clearly crafted this instrument with the same care they would any other, in spite of its price the quality is undeniable. UK-based brand Martin Smith Guitars are known for their expertly crafted instruments for hobbyists, students and musicians alike at very affordable prices. This particular model is aimed towards the entry-level and education market - Martin Smith Guitars have been designed to be affordable while surpassing the standard quality for a beginner instrument. The Martin Smith W-100 range has been designed and crafted especially for students, this full-size steel strung guitar comes complete with a clip-on tuner, guitar stand, padded gig bag, strap, spare strings, plectrums and access to free online lessons giving you a complete package. 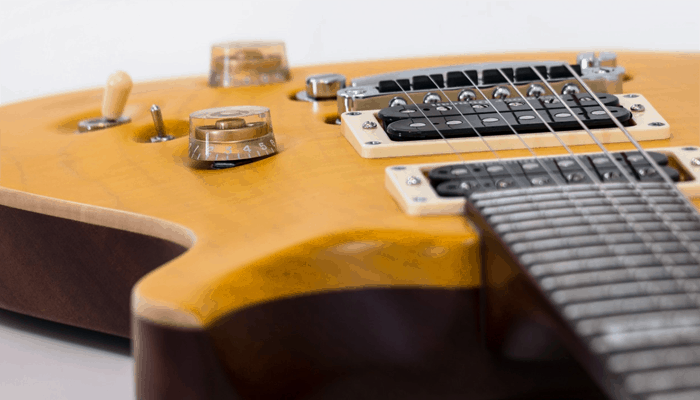 The W-100 guitar has a full size 39" body perfectly contoured for a comfortable playing position with a singular bottom peg to attach your strap. Built to a high standard and featuring a hi-gloss finish, the W-100 guitar looks distinctive and resonates with rich sounds. + Incredibly low price making this instrument suitable for purchase in bulk to use in a school, college or university for students. 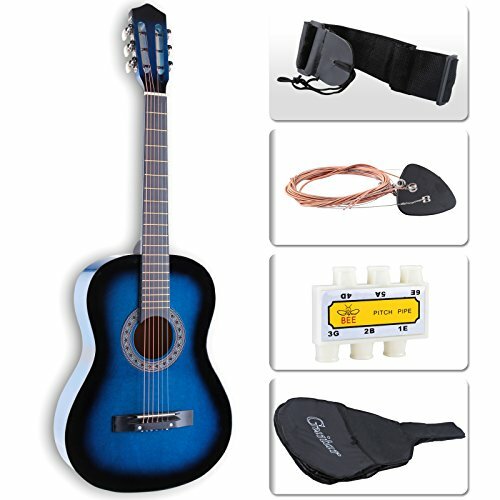 -Some extras are quite flimsy, so it would be a good idea to purchase a guitar stand and tuner separately. With this in mind, at the already low price the value remains exceptional. 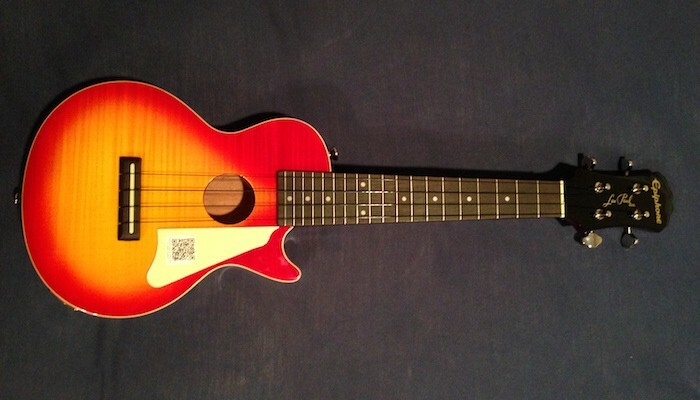 Why We Liked It - The price bracket makes this instrument accessible to those without a large budget to spare. The Yamaha FG830 has a louder and stronger sound in the low to mid-ranges, thanks to cutting-edge acoustic analysis technology developed by the Yamaha R&D Division. Yamaha’s engineers have achieved this sound by utilizing a simulation analysis to discover the best bracing design without depending on tradition. This makes for an ideal acoustic structure that maintains the durability of the top board while bringing out more of the natural sound of the instrument. This model is available in both Dreadnought and Concert shapes, the Dreadnought as previously mentioned is popular for its full-bodied sound, however, is quite large, so the Concert provides a more streamlined feel if that is more comfortable, with a brighter, more crisp sound. Why We Liked It - This guitar looks and sounds much more expensive than it is, and easily competes with its higher-tiered siblings. The Lagrima Acoustic Guitar is a great instrument for children of much younger ages and can be useful in schools, or if you are an independent educator or Music Therapist looking to have instruments at hand for students and clients. 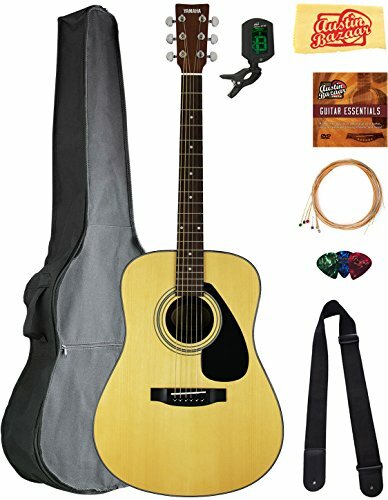 It is the best cheap acoustic guitar on this list for beginners who are still figuring out if they are serious about learning how to play the guitar, due to the quality compared to a very low price. The body is built using all-natural wood with a smooth lacquer finish for durability, the body is constructed of linden wood while the neck is birch and finished with paint, the available color choices are black and blue. + Better, more natural sound quality because of the wood construction. + Comes with accessories that beginners will find very useful. 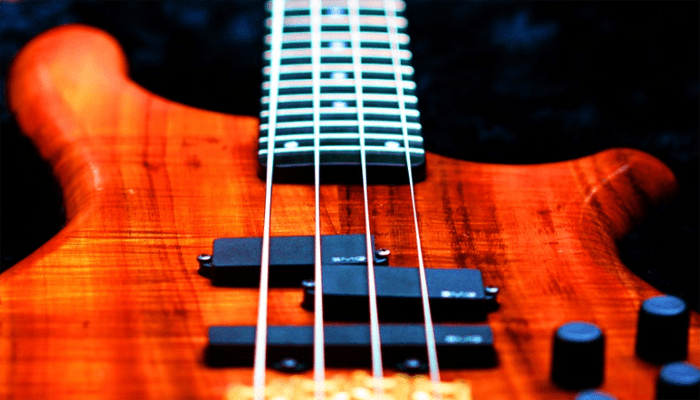 -Frets don’t have the dot inlays that help identify the different frets. -The pitch pipe may not be the best tuner to be used by beginners, we would recommend investing in a digital tuner. - The guitar makes use of steel strings that can be tuned but may need retuning after some use. Why We Liked It - This is one of the few models that succeeds in the balance between affordability, sound quality and playability for young beginners. 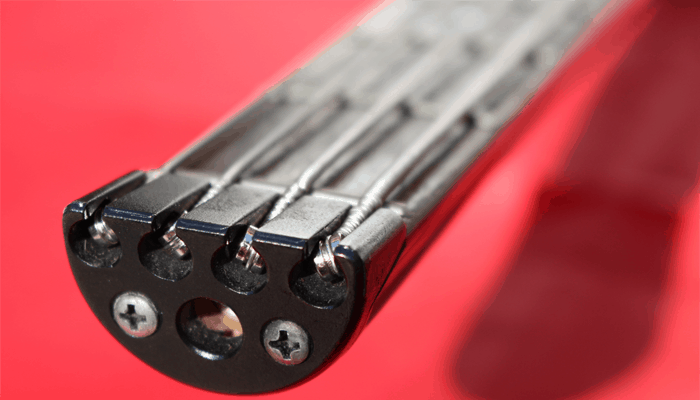 You first need to look within your price range and make sure that the guitar has sturdy X-bracing, this is to allow the instrument to retain tuning for longer and won’t get damaged easily, even many cheaper models have been built this way. A good brand is one that can offer a variety of instruments for all types of players, from the touring professionals to the young beginners, there needs to be a variety for all budgets as well, Fender, Martin, and Yamaha achieve this really well. All the brands and models listed in this review are ideal for beginners in different ways, we would recommend in particular any of the Yamaha or Fender models for most beginners. 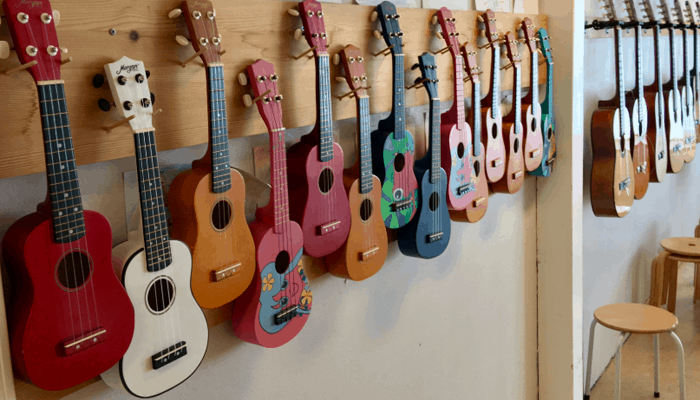 Those with smaller frames or young children would benefit from avoiding full-sized guitars and the dreadnought shape, it’s important that your first guitar feels more comfortable to play while you are learning. All brands have their own positives and negatives dependant on the audience. For example, we would not recommend a Fender CD-0S Dreadnought to a school or young child learning to play the guitar, as it would not be as suitable as the Lagrima and vice versa. We hope that you found our list of the best Acoustic Guitar brands of 2019 helpful and that you find use in our top picks as you start (or continue) your journey as a guitarist. These particular instruments have been mainly marketed towards beginners, but also suitable as a spare for touring professionals and for educational purposes.